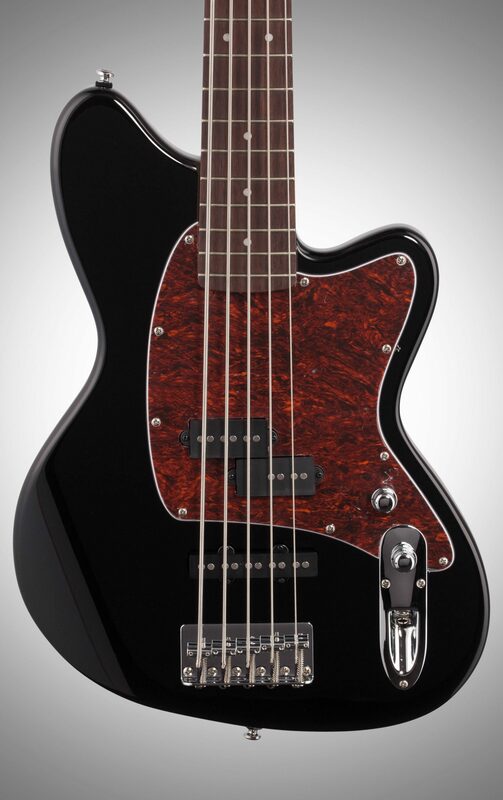 The Ibanez TMB-105 Talman 5-String electric bass combines a classic Ibanez body shape with powerful genre-hopping versatility. Dial in your tone with the TMB electronics system and pave the road to a variety of classic tones. 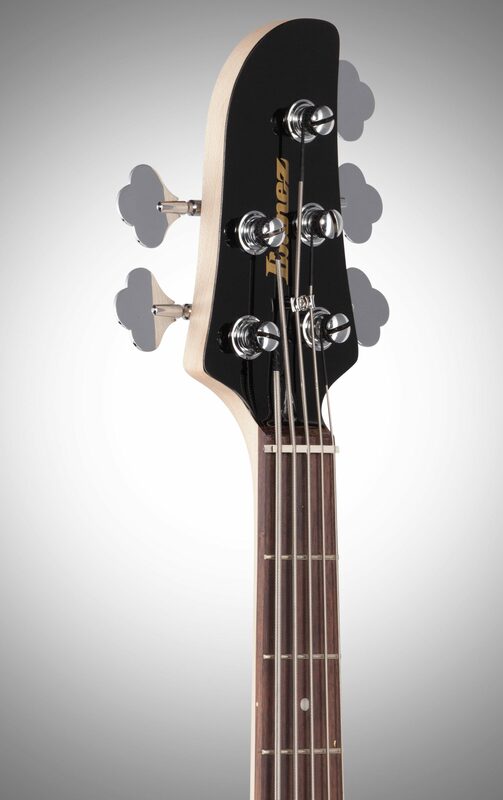 "Ibanez TMB105 The Sleeping Giant"
Overall: Wow!! Its truly a great Bass. I received this bass from zZounds on 11-8-17 and was truly surprised by this instrument, it was flawless and setup to my specs right out the box. The PJ setup is what I've been missing all this time(20yrs) I have jazz,stingrays,spector(hum buckers) but I was still searching for a particular tone that was in my head (maybe because my late wife bought me an Ibanez Roadstar in 1984 n I used it till 1996 when I bought my 1st Stingray5. The bass plays so well I took it right out n gigged it in a casino. It sat in the mix perfectly,wasn't heavy sounded great and was pleasing to look at. For the price I didn't expect much, but I was totally shocked at the tone,looks,weight and overall feel of this bass. I'm more than Pleased with this purchase. Thx zZounds for Play as you Pay option. "Absolute BEAST for the money"
Overall: I needed of a 5-string P-style instrument for a project that could be used as a backup bass, and I purchased the TMB105 from zZounds. I'm going to start by saying the photos don't do this bass justice. 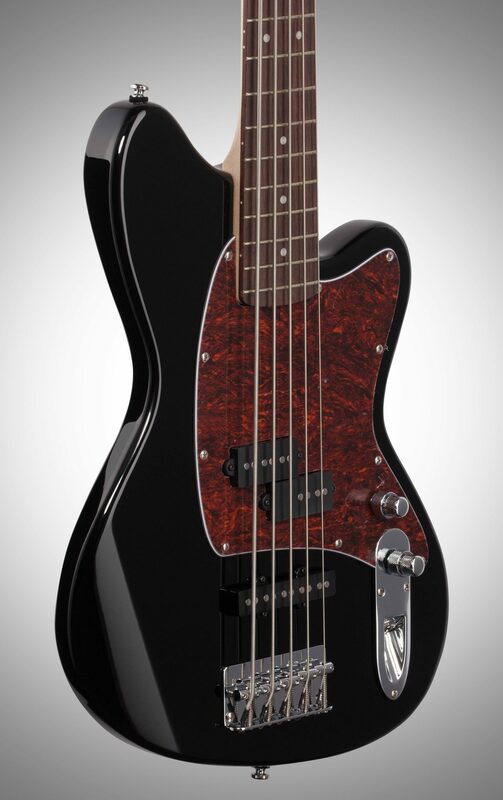 This bass is gorgeous, and seeing one is going to be mind blowing after seeing the stock photos! The fit and finish are nice. 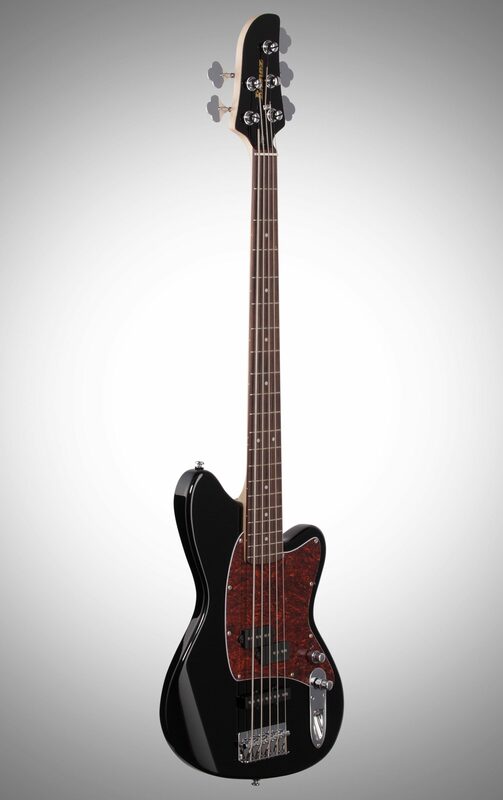 The style of the body nods to the Fender Jaguar, and the body shape and contours are comfortable. Neck is secured with 4 bolts, and that is sufficient. I like the lack of a neck plate. 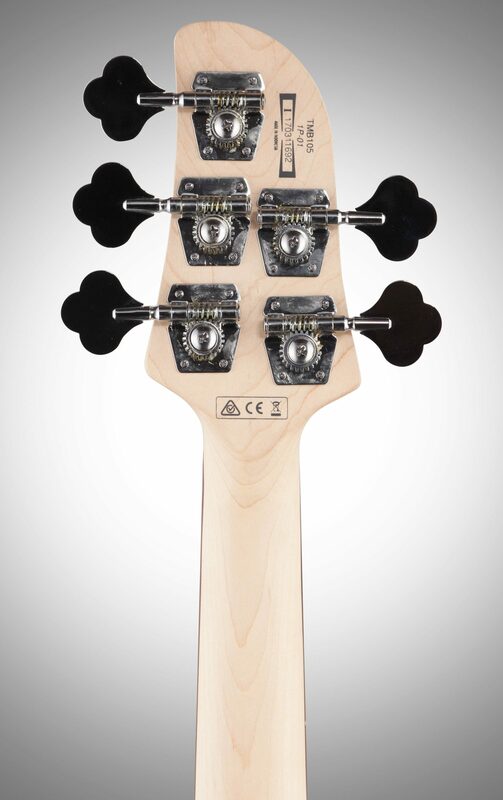 The headstock is big, causing the bass to neck dive. A good strap that will hold onto your shirt should remedy this issue as it did for me. I like the neck a lot! The description said the neck had a gloss finish, but mine didn't. I'm happy about that, as I'm not a fan of the gloss, and I was going to take steel wool to the gloss finish if it had been there. The neck feels vintage - it's nice and chunky, but not like a baseball bat. The fretwork dressing was good, but I have yet to check the crowns of the frets. I expect they'll be OK too. The nut is a cheap plastic nut, which I expected for a bass in this price range. This can easily be changed out for a bone or brass nut cheaply by a qualified tech. The string spacing at the bridge is somewhere between the narrow 16.5 mm or a 5-string Soundgear and the 19 mm standard 4-string spacing, so it is really comfortable and easy to play with this string spacing. I really like this simple, massive bridge. The tuning machines are OK. I may upgrade those in the future, but for now they do the job. Despite the 34" scale, the low B is tight and doesn't flop. 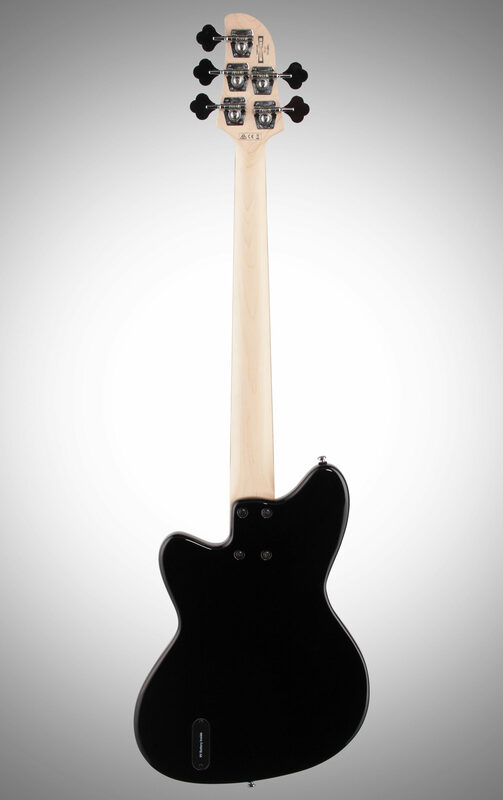 Ibanez's website lists the body wood as poplar and the fretboard wood as jotoba. Poplar is a great body wood, and was used by Fender for years for guitar and bass bodies. Jotoba is used in Ibanez's SR line as a neck wood, so it is a stiff and dense wood. As a fretboard wood, I would describe the tone as brighter than rosewood, but warmer than maple. Jobota is beautiful wood too, making this inexpensive bass look like it costs much more than it did. The stock pickups and preamp actually sound pretty good. They're not high end sounding, like EMGs, Nordstrands, Bartolini, etc. Don't expect that out of a $250 bass... That said, for a $250 bass, the pickups are good. 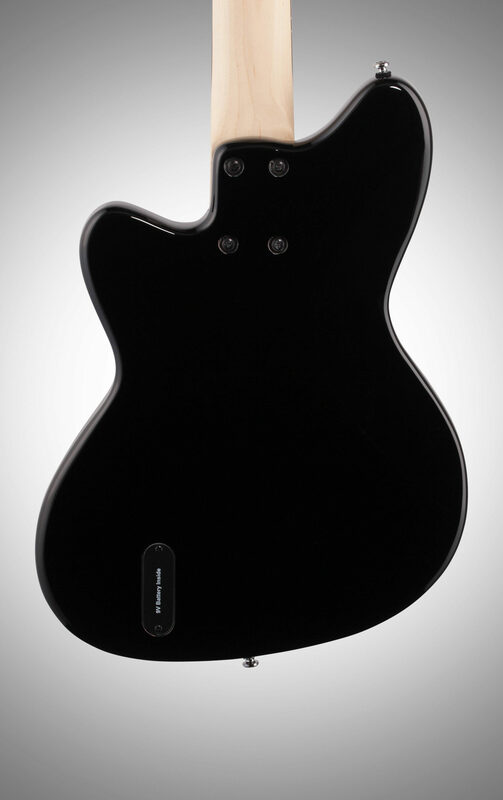 The P-style pickup sounds like a P-bass. The J-style pickup sounds like a Jazz. Combined, they sound like a PJ. Nothing unexpected. I have played this bass through my TC Electronics B250-115 combo amp and through the house PA system at my church, using an Aviom personal mixer and custom-fit in-ear monitors (this is a pretty accurate reference). Through the amp, everything is clear and tight. Big lows, crisp highs, good mids. Through the house, the low B sounded a bit thin. I dialed in more lows with the onboard preamp, and the B filled out in my in-ears. This bass is nice and bright - all my notes cut through the mix really well. Understanding these are cheap stock pickups in an inexpensive bass, while they do sound good, I'm likely going to upgrade to a US Bartolini 5-string PJ set and keep these pickups for a project bass. Just like any new guitar or bass, this bass needed some TLC as far as a setup when I received it. However, the bass was playable when I received it. If you don't know how to perform a setup, or if you're not comfortable performing a setup, take your instrument to a QUALIFED TECHNICIAN to perform the setup. I tuned this bass to low A standard (A D G C F, instead of B E A D G), and I'm still tweaking the setup as I go. Again, even with the 34" scale, the low A is still nice a tight, and it doesn't flop around. Overall, I am quite pleased with this bass. For the money, this is a phenominal value! I plan on using this as my primary bass for a progressive rock project, but the tone would fit in nicely with anything. If this bass were more expensive, I would rate it lower and describe the inconveniences above as short comings. Although, for $250, you really can't go wrong with this bass. 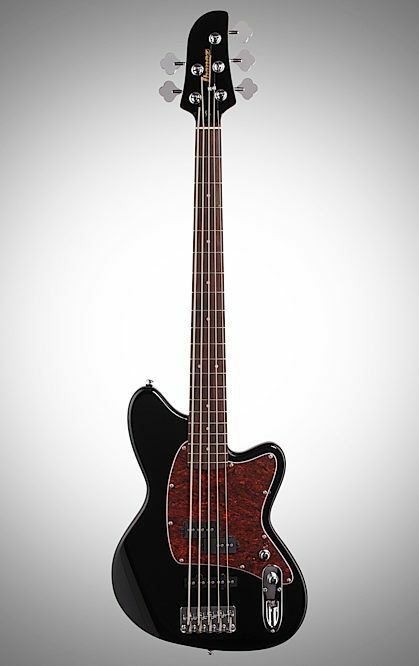 This is a good 5-string for someone stepping up from a 4-string, a 5-string player on a budget, or even a working bassist (eh hem...) looking for a cheap backup bass and being pleasantly surprised by an inexpensive gem.